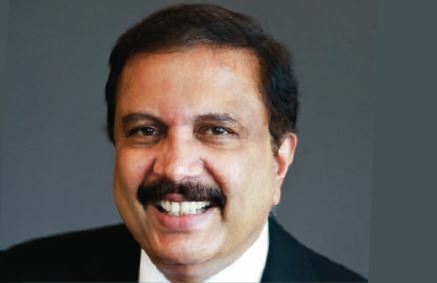 The Chairman and Managing Director of Aster DM Healthcare, Dr. Azad Moopen, is an Indian physician and philanthropist and a developer of healthcare facilities. Awarded the Pravasi Bharatiya Samman and Padma Shri by the Government of India, he is ranked 29th position in the ’50 Richest Indians in the GCC’. His total wealth constitutes to approximately $5.9 billion by Forbes in 2017. Dr. Azad has directly been involved in the development of healthcare facilities in India. One among them is the Malabar Institute of Medical Sciences (MIMS) hospitals, which employs about 3,000 people. He has also shown huge participation in establishing 600-bed tertiary care at the MIMS at Kozhikode in Kerala. His humanitarian activity counts in the establishment of a rural health care centre at a panchayat in Kerala, where nearly 7,000 BPL members were provided with free out-patient and in-patient care. A $90m worth investments were announced for three projects in Kerala, which includes a 500-bed super specialty hospital in Thiruvananthapuram, 250-bed multi-specialty hospital in Kannur and a 200-bed specialty hospital in Kozhikode. Achieving a milestone of nearly 30 years since the foundation of the Aster DM Healthcare, the company has seen remarkable progress with around 317 health facilities, including 18 hospitals, 98 clinics and 201 pharmacies across three brands: Aster, Medcare and Acess. Dr. Azad Moopen has been spotted as the largest employer in the healthcare sector. The company has employed early 20,000 health care professionals are employed across the Middle East and India. The company moved into Bahrain in 2015 and increased its stake in Sanad Hospital in Riyadh. It also has a handful of facilities in both Oman and Qatar alongside ambulatory clinics are also being built in the Philippines. Dr. Moopen is also recognized for his compassion and humanity, for giving away about 20% of his wealth which includes a donation of $2.7m to Al Jalila Foundation, a UAE –based charity that promotes medical education and research.